British Theatre is in a state of evolution and everyone has an opinion. Meanwhile, playwright David Hare claimed that classic British drama is ‘being infected’ by radical European staging and the untraditional ‘distortion’ of plays. Lyn Gardner rebuffed this in the Guardian: “All theatre cultures have plenty they can learn from each other. It’s when you stop learning and become insular that theatre culture becomes desiccated and begins repeating itself. Particularly when it comes to classic texts.” I agree – there is room for everything. The debate over the value of new work versus revivals is as old as theatre itself. All these opinions have been a joy to read, yet left me cold, angry and in the dark. Why? It seems to me that there are now two quite separate theatre industries at play. One is generating all the quality stuff that tends to be hidden away. The other is spinning out mainstream froth in a void. British Theatre should be leading the way in fostering genuinely exciting new work, because now more than ever (as we find ourselves isolated from Europe and tied to a toxic America) we need theatre with bite. In this dismal new world of “alternative facts” and “post-truth”, theatre needs to be properly amazing, i.e. not just a Wobble Board of traditional Ibsen and Ayckbourn. It’s not all bad news. The state of the world has already inspired quality work at Theatre 503 in the form of ‘Top Trumps’, an evening of satirical plays by a range of writers responding to current affairs. This year at the NT, alongside crowd-pleasers like Angels In America and Imelda Staunton in Follies, Rufus Norris is throwing his hat in the ring with a new Brexit play, ‘My Country; A Work in Progress’, a verbatim piece collated from interviews, fine-tuned by poet laureate Carol Ann Duffy. But for an industry that is apparently booming, there is little risk taking. There are only two big British West End musicals opening this year: Stiles and Drewe’s ‘The Wind in the Willows’ (London Palladium) and Gary Barlow/Tim Firth’s ‘The Girls’ (Phoenix Theatre). Meanwhile, rising ticket prices are pushing West End shows beyond the pockets of all but the affluent. This is bleak, right? And perhaps restricted resources have limited artists’ disposition to experiment and progress. Traditionalists penalise anything outside a narrow idea of what theatre ‘should’ look like, but I believe that view favours short-term benefits for artists and the theatre as a whole. British theatre-makers should feel like they can do anything. But how can we persuade more people in power to take more chances? It’s worth speculating what might have happened to a cutting-edge writer like Barney Norris or Lucy Kirkwood if their first plays had received little to no mainstream support. 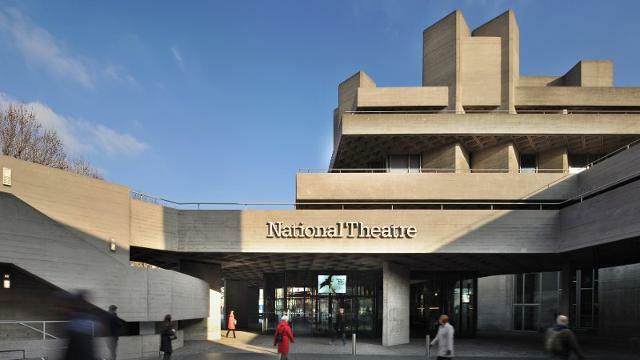 Cultural organisations dependent on public subsidy are preparing themselves for real-terms cuts as Arts Council England has cautioned standstill funding in the next round of national portfolio grants. How can we safeguard opportunities for our mid-career writers, composers, designers and directors to progress to greater spaces that are bountiful? The Arts Council urgently needs to take a chainsaw to publicly-funded rubbish and maybe also have a word with those commissioning work that is not fit for purpose. Change is imperative – whatever Billington and Hare might say. https://www.mrcarlwoodward.com/wp-content/uploads/2017/01/Rufus-Norris-e1486219631716.jpeg 333 500 admin https://www.mrcarlwoodward.com/wp-content/uploads/2019/02/new-logo-img-300x27.png admin2017-02-02 18:37:572017-06-26 02:59:26So, in 2017 who is getting it right?